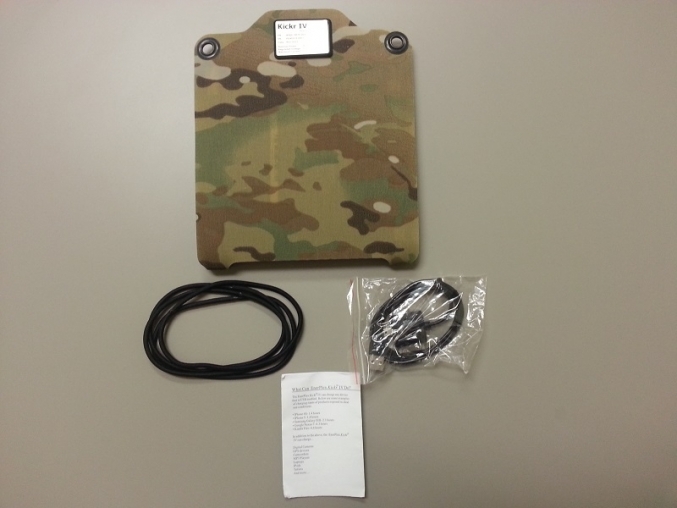 Solar chargers for the mobile market are not something new, in-fact they have been around for some time now, but only recently have two things occurred that have made them worth a look. Those two things are price and performance. 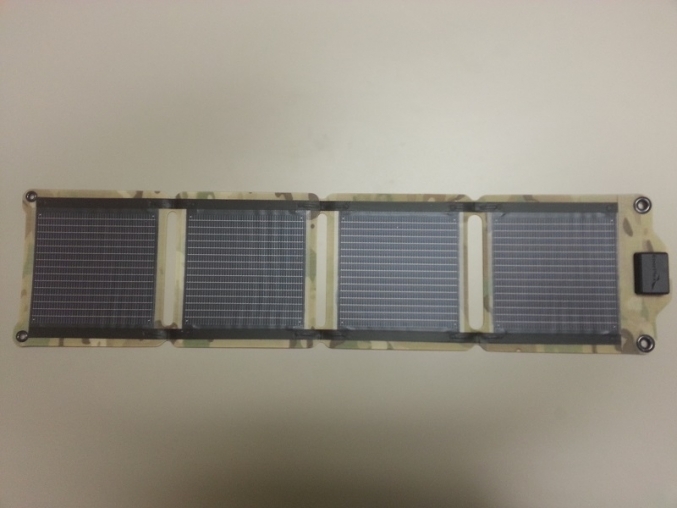 Initially, the cost of solar chargers were extremely expensive, and their performance was unfortunately very lackluster. Generally the time it took to charge a mobile device was unrealistically too long to be considered by the mainstream. Fortunately, we are starting to see a convergence of lower prices and higher performance in the market, which nets the consumer a high enough bang for your buck that a solar charger may be a viable option for mobile device use off the grid. With the Kickr IV contents out of the box, there is nothing intimidating about this kit. The solar panel is extremely light and folds open as easy as a menu at your local restaurant. The Copper Indium Gallium Selenide (CIGS) panels used in the Kickr IV are not super rigid, and have a fair bit of flex in them. So the four panels are light and flexible, which seems to make for a very easy kit on the go from a durability standpoint. 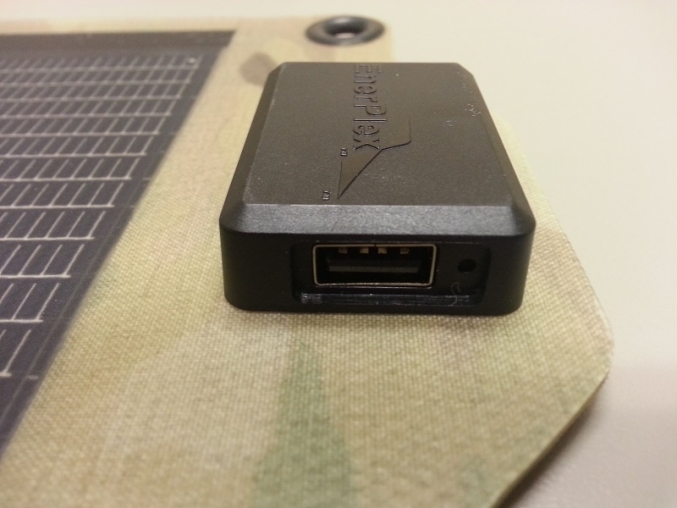 On the one end of the Kickr IV solar panel, is a standard USB connector. 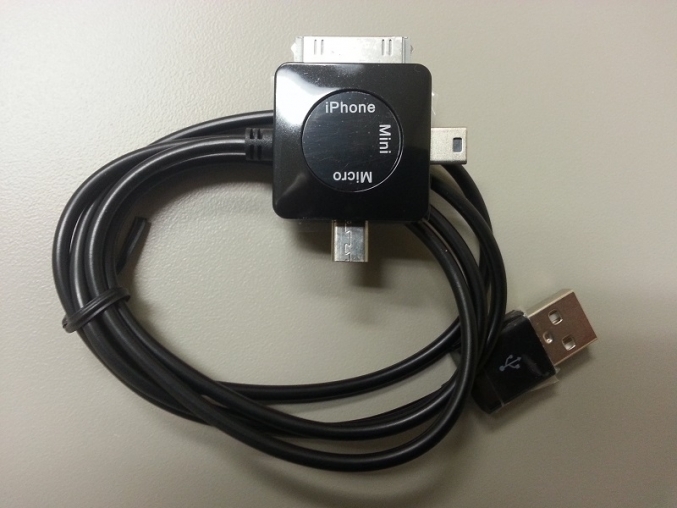 So you are free to use the included multi-adapter USB cable, that has the more common micro-usb, mini-usb, and iphone (iphone 4 and prior) connectors or you can use whatever USB cable came with your mobile device. The included bungee cord loops used to hold the folding panels in the folded position seem a little low budget to me, but in the end work as intended. In my personal testing, I aimed to pick testing days where we had as much direct sunlight as possible with little to no clouds. Here in Florida, that generally isn’t a tall order, but recent uncharacteristic winter weather patterns proved to make this a difficult task. However, I was able to find a couple clear days to facilitate my testing. Assuming the four cells had direct sunlight exposure, I was able to charge my Samsung Note II in about 3.2 hours. Now where that might sound long, the Note II has a 3100 mAh battery, which is quite large for a cellphone. My wife’s Kindle Paperwhite charged in about 1.5 hours, or course it has a much smaller 1420mAh battery. With my sons Ipad 2, I couldn’t get it to charge while using, but the Kickr IV appeared to positively impact battery usage (that’s about the best way I can describe the results). Now, in researching the Kickr IV prior to receiving the unit for review, I noticed a fair amount of Kickr IV customers using their units to charge mobile battery packs and then using those battery packs to charge their devices, even those with more demanding charging requirements, such as the ipad. This is a great way to leverage the Kickr IV in my opinion, as you can always be charging a battery pack, and have several charged up and in rotation (as they are used) to keep your mobile device(s) chugging along. 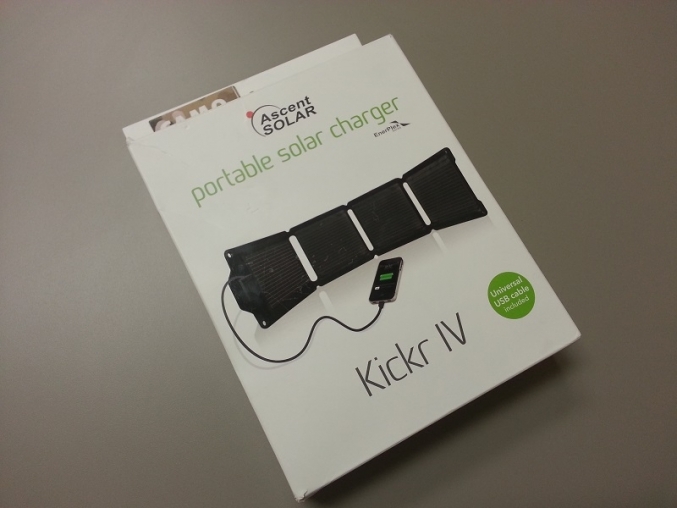 After testing the Kickr IV first hand, I think solar chargers have finally broken the cost/performance barrier that has prevented them from being a realistic option for anyone other than the truly diehard or desperate (those that had an absolute need for mobile charging regardless of the performance). At $129.99, the power performance the Kickr IV delivers definitely minimizes the chance of any buyer’s remorse here. 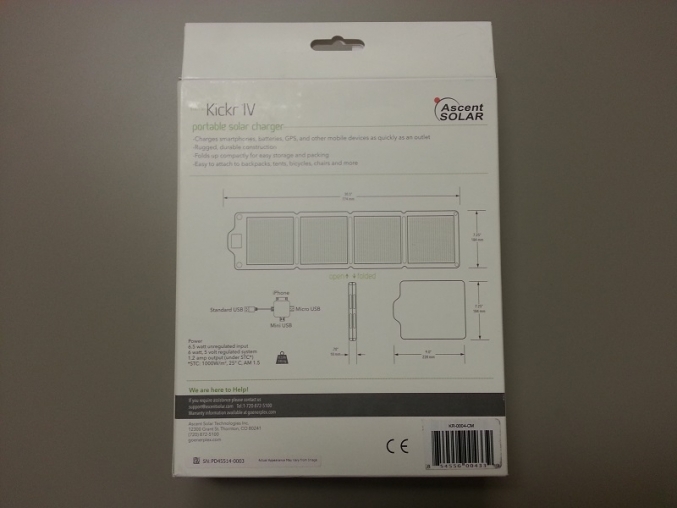 So, whether your an avid hiker, camper, biker, beach go’er, pool lounger, or general outdoors’y person and you like your mobile devices, the Kickr IV is a great solution for your power needs when “the grid” is just out of reach.